Do you like sport? 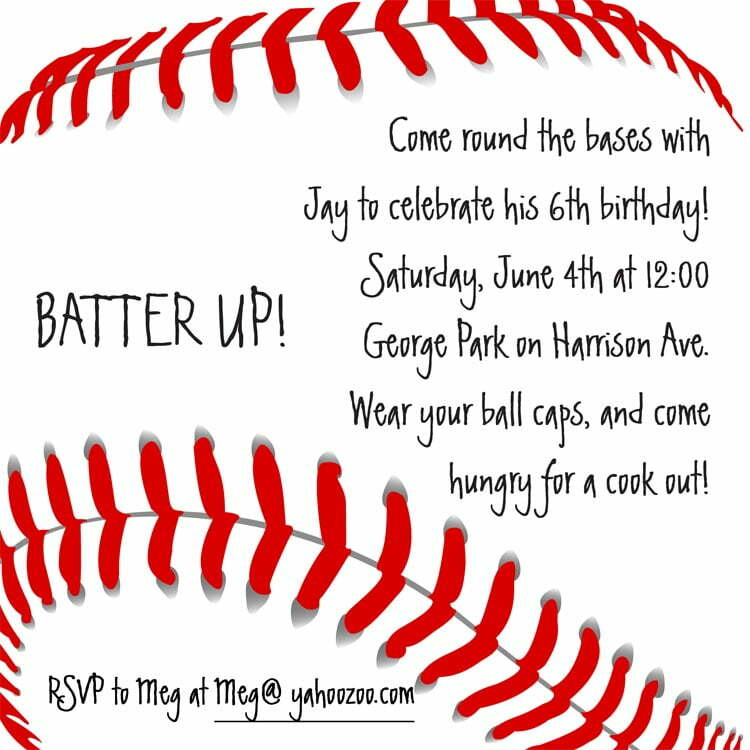 Use these baseball birthday invitations to celebrate your birthday party. Baseball is one of the most favorite sport in some countries. Every match, many people watch it. It is a kind of entertainment for us. The file comes in mostly light brown and red color. Then we decorate the template by adding some images like the baseball bat, the baseball and gloves. It has 5″ x 7″ in size and you may get portrait or panorama. You can just select the size before printing. Write down the party details such as the date, time and location in the blank space we given. Add the RSVP as the way for the guest to confirm their attendance. To enliven the party, decorate the room in baseball theme, so do the birthday cakes. You may prepare the food and drink in similar theme. Wanna have more enliven birthday party? Ask the guest to wear baseball costume or accessories. 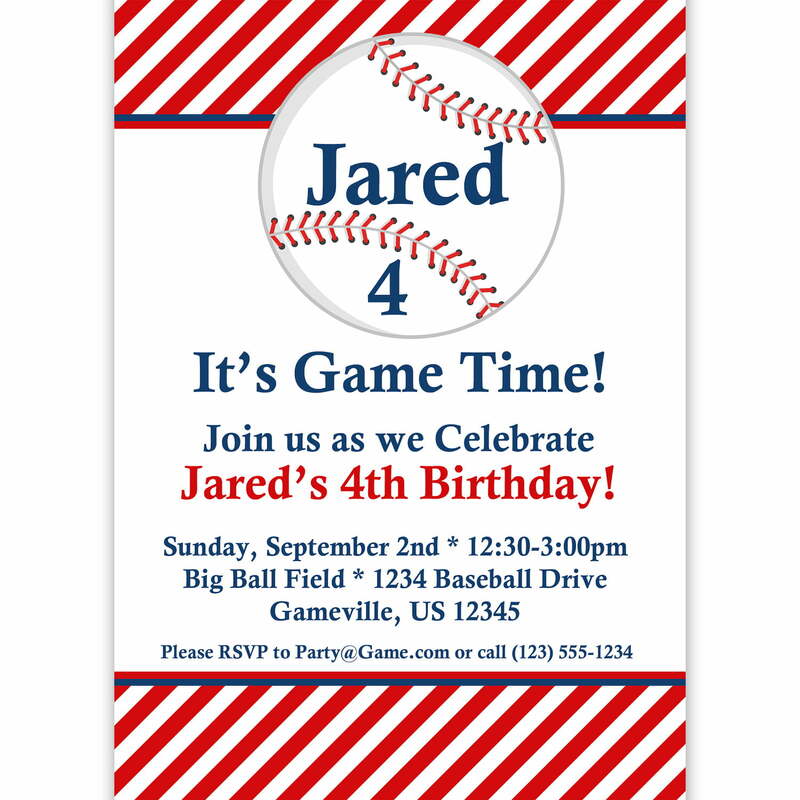 How to download these baseball birthday invitations? It is very easy to get the file. Click on the image and choose Save Image As menu. Then customize the file by using an editing software. We recommend this way because it can save your time. 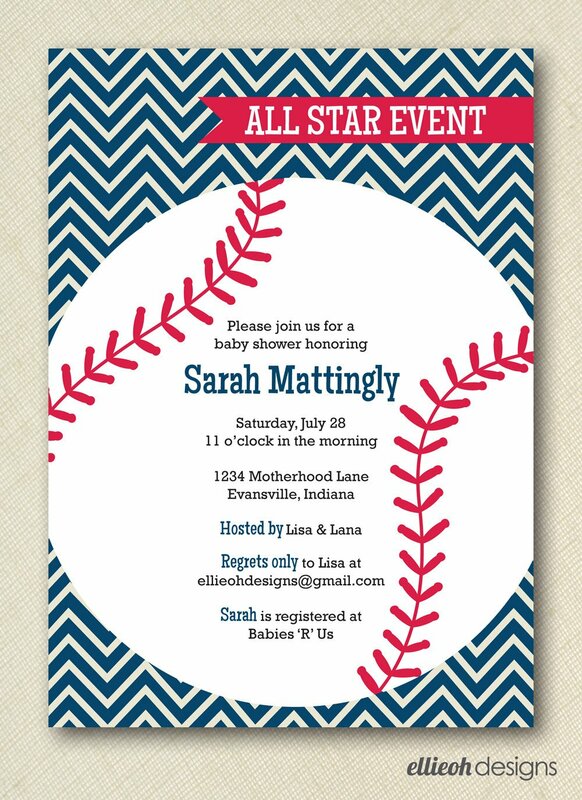 Besides, you may also add photos on the invitation card. To print this template, use a cardstock paper. It has high quality printing image. You won’t get similar printing result when using other paper like carton or Hvs.